Alligator might be the accessory of choice on runways, but no one wants to be sporting the Arctic version of scaly and rough skin this season. Faze consulted with dermatologist Dr. Catherine Ruddy for simple changes to your skincare routine that can help keep your skin supple, soft and itch-free — even through a harsh Canadian winter. Think you don’t need to moisturize? Think again. 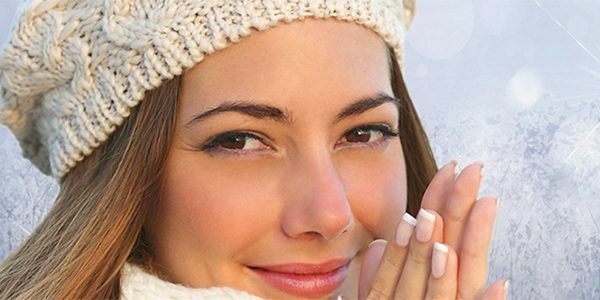 Winter air is dry, robbing your face and body of moisture it needs to look healthy. According to Dr. Ruddy, this means moisturizer is key in your winter skincare routine. “Although moisturizers don’t actually add moisture to your skin, they do form a protective barrier and seal water into the skin and keep it from evaporating.” The moisturizer you choose will depend on you — there are literally thousands of products to choose from, with a huge array of prices, scents, textures and ingredients. 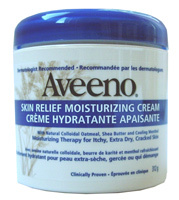 According to Dr. Ruddy, “Certain moisturizers contain urea and lactic acid, which are molecules that retain moisture. These can be very helpful in winter. They can be a bit irritating on faces, but good for really dry areas on the body, especially feet.” Since your body and face have different needs, reserve the heavy-duty products for your body and lighter ones for your face. Defend your skin from damage and dryness that come from sun and wind. Even in winter, and yes, even on overcast days, leaving off sun-block will let ultraviolet radiation do a real number on your face. In the short term, this means sunburn. In the long term it will leave you with wrinkles, or even skin cancer. Dr. Ruddy usually recommends at least SPF 15 or higher, even on dark skin. That might seem like overkill, but she cautions that “sun-block ideally should be applied 30 minutes before sun exposure and in a very thin layer but we don’t always use it that way. For an average day, SPF 15 is about right.” When you’re going out, protect yourself against cold wind and the potential for frostbite with gloves, scarves and hats. Dr. Ruddy advises to “cover up as much as possible and protect your skin.” You will be more comfortable and be doing your après ski complexion a favour. Feed your skin right from the inside out. For a glowing and vital complexion, your face needs to be healthy even before your daily skin care routine. Fortunately the advice is the same for your skin as for the rest of your body: drink lots of water, follow a nutritious diet, and get enough rest. No amount of product can make you look healthy like actually being healthy can. Used to describe any ingredient that smoothes and soothes skin by preventing water loss. A fancy way to say dry skin, and in case you’re wondering, it’s not an acceptable excuse for missing class. Thanks to: Federation of Medical Women of Canada member, Dr. Catherine Ruddy. During the holidays and those extra-special occasions, be sure to give your hair and face equal time! Don’t take yourself too seriously – experiment. Try fun colours, and new looks that express the fun and carefree side of your personality. Hydrates winter dry skin and fights breakouts without clogging pores. This breakthrough patented formula combines natural colloidal oatmeal-rich emollients including cocoa and shea butter and cooling menthol to provide long-lasting moisturization and soothing itch relief. This lotion literally works in the shower to condition even after rinsing off, just like a hair conditioner, but for your skin! Helps restore skin’s protective hydrolipidic film. Ingredients include: hazelnut, kukui nut, oat, orange, pea, peach and shea… mmm…sounds delicious! Intensely restores your face’s moisture by diffusing its marine and plantbased ingredients. This body milk hydrates and nourishes the skin with a unique blend of moisturizing and soothing agents including glycerin, vitamin B5 and vitaminE as well as pure, hydrating Evian water. Formulated with Swiss Glacial Water and a Swiss Botanical blend of chamomile, primrose, sunflower and elder flower, unique to St.Ives, for natural nourishing moisture.